Santa Clarita’s growing insurance agency Kehl Insurance Services is an independent agency providing customers with the top-rated insurance with the lowest possible price. They ensure the highest level of customer service guaranteeing maximum benefit and protection to their clients. The knowledgeable and experienced staffs at Kehl Insurance can furnish you with an prompt assessment depending on your specific requirement. Santa Clarita’s Kehl Insurance Services have licensed insurance professionals who can assist you with your personal or business insurance needs. They prioritize in protecting you and your family from the unexpected events by finding the right coverage at affordable rate. Serving the Santa Clarita Valley and neighboring community in dealing with all types of personal insurances including Auto, Homeowners, Motorcycle, Boat, Car, Renters and Umbrella, Santa Clarita’s very own Kehl Insurance Services builds its client relationship by planning best policy solution for them and providing them with the best customer services. They have also developed many different options and programs that can help you chose right business or commercial plan for your business. Designing a business package according to your property, liability and casualty needs, they also procures risk management strategies to identify the factors that can increase your premium. 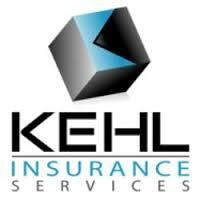 The benefits department of Kehl Insurance Services will assist you with Life, Health, Disability and Dental insurances. For the ease of services, Kehl Insurance Services provides free online quote forms for your specific needs which you can fill out to get quotes in minutes.